By joining us you can support local wildlife, get involved with fab activities and events, and become part of a growing community of like-minded people striving for a better Shropshire. If you would like to purchase Gift Membership, choose the membership you would like to send below, then select the option "this is a gift". If you are an employee of one of our corporate members, please select this option in the "how did you hear about us?" section and enter your discount code in "Additional info/comments" below. If you are a UK taxpayer, the value of your gift can be increased by 25% under the Gift Aid scheme at no extra cost to you. This means your donation of £4 could be worth an extra £1.00 to us. By agreeing to the Gift Aid statement below we can reclaim the tax paid on the donations you make to us. This means for every £1 you give the Government will give us an additional 25p to help wildlife. To be eligible for Gift Aid the amount of Income Tax and/or Capital Gains Tax you pay in each tax year, must be at least equal to the amount of tax that all charities and CASCs will reclaim on your gifts for that tax year. I would like to Gift Aid all subscriptions and donations I make today and any I make in the future or have made in the past 4 years to Shropshire Wildlife Trust. I am a UK taxpayer and understand that I if pay less Income Tax and / or Capital Gains Tax than the amount of Gift Aid claimed on all my donations in that tax year it is my responsibility to pay any difference. Please notify Shropshire Wildlife Trust if you want to cancel this declaration, change your name or home address or no longer pay sufficient tax on your income and or capital gains. 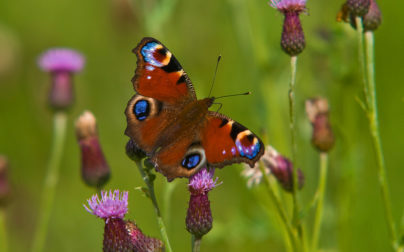 From time to time Shropshire Wildlife Trust will contact you to let you know how your support is helping local wildlife, other ways to get involved and other ways in which you can help. If you do not wish to be contacted in future please email enquiries@shropshirewildlifetrust.org.uk. If there are any changes to the amount, date or frequency of your Direct Debits Shropshire Wildlife Trust will notify you 10 working days in advance of your account being debited or as otherwise agreed. If you request Shropshire Wildlife Trust to collect a payment, confirmation of the amount and date will be given to you at the time of the request. 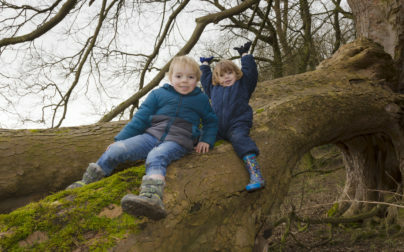 If an error is made in the payment of your Direct Debit, by Shropshire Wildlife Trust or your bank or building society, you are entitled to a full and immediate refund of the amount paid from your bank or building society. If you receive a refund you are not entitled to, you must pay it back when Shropshire Wildlife Trust asks you to. Thank you for choosing to pay by Direct Debit. Payments will appear as Shropshire Wildlife Trust and we will send confirmation of the Direct Debit setup by post/email within 3 working days or no later than 10 working days before the first collection. By joining us today you will help us protect key habitats in Shropshire, such as wildflower grasslands which have seen a 97% decline since the 1930s. With your support we can inspire thousands of children every year, giving them wildlife experiences that will last a lifetime.